Hamilton Center announces the 26th annual Sheriff’s Shootout golf fundraiser. The event is one of the longest running charity golf events in the Wabash Valley. Golfers will be teeing off at Rea Park on Friday, May 12 at 7:30am and 1:00pm. Historically the funds from the Sheriff’s Shootout have been donated to Hamilton Center’s Child and Adolescent Services. This year the organization is excited to provide Employment Solutions with the acquired funding. Employment Solutions is a department of Hamilton Center that provides employment assistance and guidance for workers with barriers to employment. These individuals are supported in their area of interest and work to facilitate their own personal career path. Employment Solutions provides specialists to individuals to assist with resume development, completion of job applications, interview preparation, access to transportation, acquiring needed clothing or other tools, and progress follow up to ensure continued success. Breakfast will be provided by Chick-fil-A and lunch will be provided by local businesses in the area. Baesler’s Market, Fifi’s Lunchbox, Gingersnaps Coffee House and Café, and Rick’s Smokehouse and Grill are donating their house specialties for the event. Tatu Brown, Public Relations Specialist, invited the sheriff’s from all ten counties served by Hamilton Center for a friendly competition and chance to take home a traveling trophy and bragging rights. Hamilton Center serves the counties of Clay, Greene, Hendricks, Marion, Morgan, Owen, Parke, Putnam, Sullivan, Vermillion, and Vigo in Indiana. The Vermillion County Sheriff’s Department took home the trophy from last year’s event. “We are excited to raise money for people who need help finding employment. The team at Employment Solutions works hard to eliminate the barriers, and we are happy to assist them,” said Brown. There are a total of 56 teams playing in this year’s event and over $40,000 have been raised for Employment Solutions. 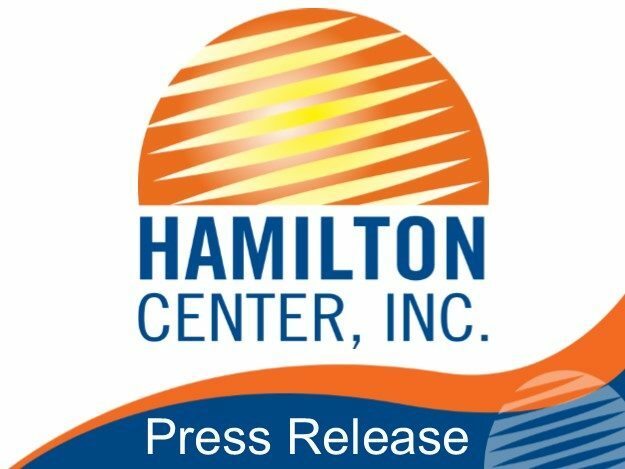 “Hamilton Center is committed to providing the highest quality of mental healthcare for our community. We need their support in our efforts to meet this goal. We welcome our community partners to participate in an event that raises money to assist in creating healthier environments for individuals with barriers to employment,” said Melvin L. Burks, CEO.